My name is Helen and I am a jewellery addict. There, I said it. I have a bona fide addiction to trinkets, jewels and pretty adornments. In fact, I'm currently trying to think of a way to transport my huge collection of necklaces to the new house without them ending up in one giant tangle. So when the lovely Sarah offered to send me a couple of pieces from her new Etsy shop I jumped at the chance! Particularly as they're so delicate and fine. I have a lot of necklaces but I really lack dainty ones, normally favouring Tatty Devine-esque acrylic numbers. Hailing from the North West (and soon to be living in Manchester) I'm used to my fair share of rain so I opted for the 'Oh to be in England' necklace and, continuing my obsession with bee and insect related jewellery, the 'Between angels and insects' necklace. Both necklaces are absolutely gorgeous and I can see me getting a lot of wear out of them. 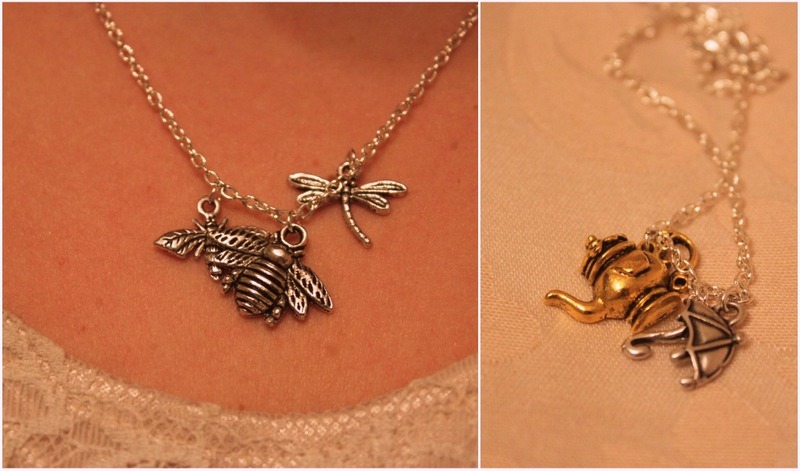 They're perfect for adding a quirky edge to a smart outfit for work or for layering up with other necklaces. 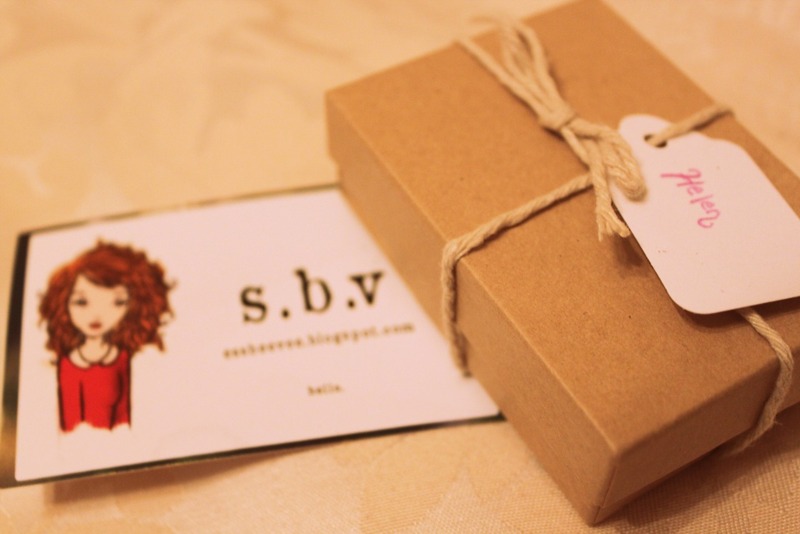 All Sarah's pieces would make lovely Christmas presents for those gorgeous girls in your life and the packaging is so cute! Prices start at a bargain-tastic £7 and, if you enter 'CLEARYOURHEART' at checkout then you'll get 10% off your order (expires on 15th December 2010). Go go go!